Who is Patrick McGorry and what does he promote? He’s a psychiatrist just named Australian of the Year for his work in “youth mental health reform.” What does that reform consist of? What he calls a “new form of climate change.” It sure is. He not only promotes youths being put on antipsychotics and antidepressants, cited by international drug regulatory agencies as causing hallucinations, hostility, personality change, life-threatening diabetes, strokes, suicide and death, McGorry goes a giant step further-drug them before they’ve even developed a “psychiatric” disorder. The UN Committee on the Rights of the Child has expressed “serious concerns” about child drugging and Senate investigations in the United States have found high profile psychiatrists who were pharmaceutically funded and using fraudulent research being among the heaviest promoters of psychiatric drug use on children. While the rest of the world is experiencing serious alarm at the rampant use of deadly psychiatric drugs on children, McGorry pushes full steam ahead to increase the amount of children being needlessly subjected to psychiatry’s most powerful drugs-antidepressants and antipsychotics. His theory and practices are so controversial that even his colleagues in the United States have backed away from it. And a parallel study done in the United States based on the same theory that McGorry uses was considered an abject failure-even by the investigators themselves. Other psychiatrists have criticized McGorry’s pre-drugging practice as unethical and harmful to adolescents. More on that later. And what was the first thing he did to capitalize on his winning his “Australian of the Year” award? He demanded the Australian government hand over another $200 million to fund more of his centers where he can drug more children. Worse, the government is entertaining the idea. The study would come to be called “cursed,” but it started out just as Study 15. It was a long-term trial of the antipsychotic drug Seroquel. The common wisdom in psychiatric circles was that newer drugs were far better than older drugs, but Study 15’s results suggested otherwise. As a result, newly unearthed documents show, Study 15 suffered the same fate as many industry-sponsored trials that yield data drugmakers don’t like: It got buried. It took eight years before a taxpayer-funded study rediscovered what Study 15 had found — and raised serious concerns about an entire new class of expensive drugs. Study 15 was silenced in 1997, the same year Seroquel was approved by the Food and Drug Administration to treat schizophrenia. The drug went on to be prescribed to hundreds of thousands of patients around the world and has earned billions for London-based AstraZeneca International — including nearly $12 billion in the past three years. The results of Study 15 were never published or shared with doctors, even as less rigorous studies that came up with positive results for Seroquel were published and used in marketing campaigns aimed at physicians and in television ads aimed at consumers. The results of Study 15 were provided only to the Food and Drug Administration — and the agency has strenuously maintained that it does not have the authority to place such studies in the public domain. (NaturalNews) A congressional investigation has revealed that a group of Harvard psychiatrists, instrumental in pushing the diagnosis of bipolar disorder in children and its off-label treatment with antipsychotics, concealed from university officials the millions of dollars they earned in consulting fees for the companies that make those drugs. Iowa Sen. Charles E. Grassley requested the financial disclosure reports that Drs. Joseph Biederman, Timothy E. Wilens and Thomas Spencer had filed with Harvard University between 2000 and 2007. He then asked a handful of pharmaceutical companies for their own records on how much had been paid to the researchers in that time. 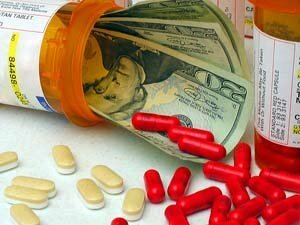 The numbers reported by the drug companies were much higher than those on the researchers’ forms. Upon being confronted with the discrepancies, the researchers admitted to having concealed certain consulting fees and upped their estimates. These new numbers still fell short of those reported by the drug companies. Biederman, for example, originally told Harvard that he had received no money from Johnson & Johnson in 2001. When Grassley asked him to double check, Biederman admitted to receiving $3,500. The drug company’s records, however, recorded payments of $58,169 to Biederman in that year alone. A more thorough investigation revealed that Biederman and Wilens had received at least $1.6 million from the pharmaceutical industry between 2000 and 2007, while Spencer had received at least $1 million. For years, Johnson & Johnson obscured evidence that its popular Ortho Evra birth control patch delivered much more estrogen than standard birth control pills, potentially increasing the risk of blood clots and strokes, according to internal company documents. But because the Food and Drug Administration approved the patch, the company is arguing in court that it cannot be sued by women who claim that they were injured by the product — even though its old label inaccurately described the amount of estrogen it released. This legal argument is called pre-emption. After decades of being dismissed by courts, the tactic now appears to be on the verge of success, lawyers for plaintiffs and drug companies say. The Bush administration has argued strongly in favor of the doctrine, which holds that the F.D.A. is the only agency with enough expertise to regulate drug makers and that its decisions should not be second-guessed by courts. The Supreme Court is to rule on a case next term that could make pre-emption a legal standard for drug cases. The court already ruled in February that many suits against the makers of medical devices like pacemakers are pre-empted. More than 3,000 women and their families have sued Johnson & Johnson, asserting that users of the Ortho Evra patch suffered heart attacks, strokes and, in 40 cases, death. From 2002 to 2006, the food and drug agency received reports of at least 50 deaths associated with the drug.